Greetings, dear readers! I hope you have been enjoying your weekend thus far! The rain keeps coming down here in Northern California, and it's looking like it's going to rain tomorrow for Halloween as well. I'm not sure what that's going to mean for us for taking the boys out trick or treating, and now that my oldest is sick yet again, this may not be the most festive Halloween for us. I guess it isn't the end of the world giving out candy to other trick or treaters and maybe eating a few pieces myself, right? In a post earlier this week, I shared the Ever After October Subscription box which included an eyeshadow. 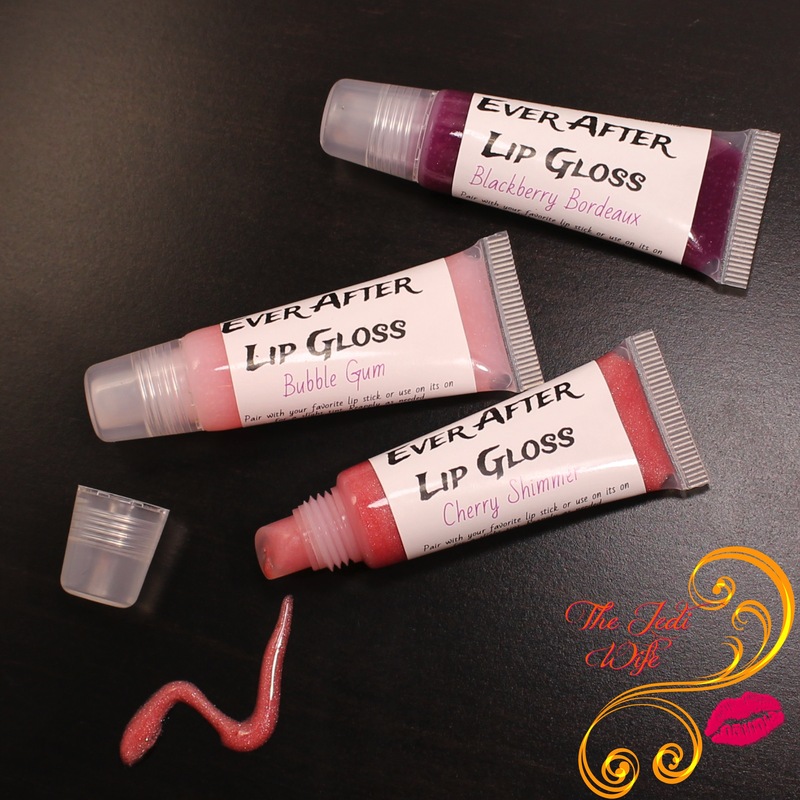 If you aren't familiar with this indie brand, Ever After has been offering nail polishes and assorted bath products for quite some time, and recently they have expanded there line to include lip glosses, eyeshadows, and now lipsticks! I got to see Miranda and Rachel, the lovely ladies behind the brand, while at Polish Con in Chicago last month. I bought their full lippie lineup and a few eyeshadows while there, and I've been holding back on writing up this post until it got closer to the official lipstick launch online. Let's check out what I picked up! I adore lip glosses for when I want shine, a touch of colour, and a delicious flavor on my lips, so I naturally had to pick these up these babies! 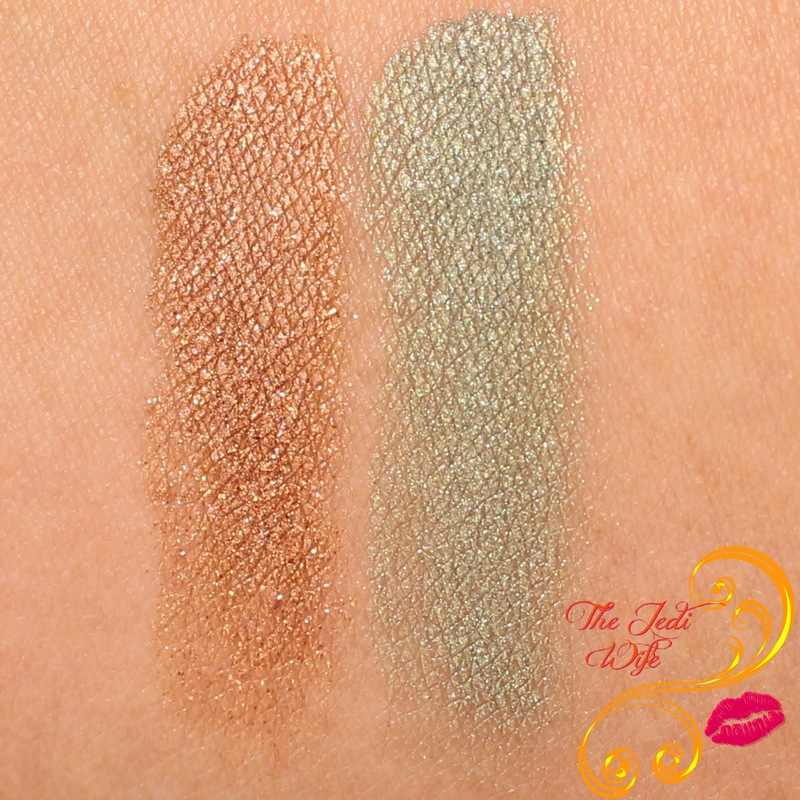 There are currently three shades that have been available for purchase both at at Polish Con and online. Blackberry Bordeaux is a dark berry gloss that is also flavored with blackberry bordeaux. Bubble Gum is a baby pink with subtle shimmer that is flavored with bubble gum. 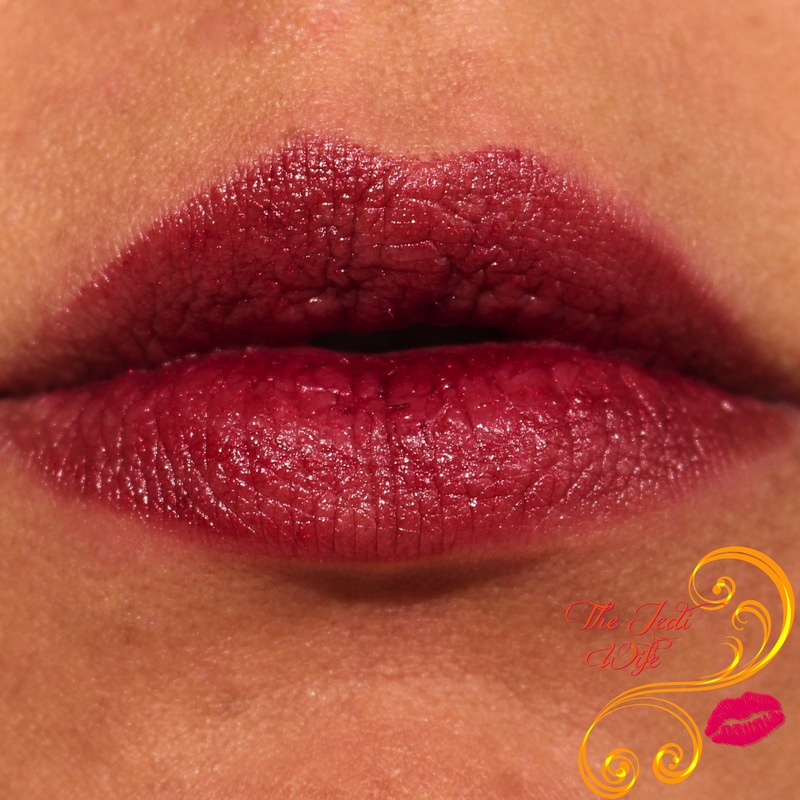 Cherry Kiss which is a soft red with heavy shimmer that is flavored with sweet red cherry, of course! I really like these glosses! The colours are subtle for when you want a tint to your lips or to top over your favorite lipsticks. They are glosses so they will kiss off or transfer to your coffee mug and will need to be reapplied. The best thing about these glosses is that aren't sticky. That's definitely an added bonus to these beauties! Seductive is a deep burgundy and flavored with blackberry bordeaux. While it looks darker in the tube, it isn't overly-pigmented so you end up having a beautiful wine colour on your lips after application. 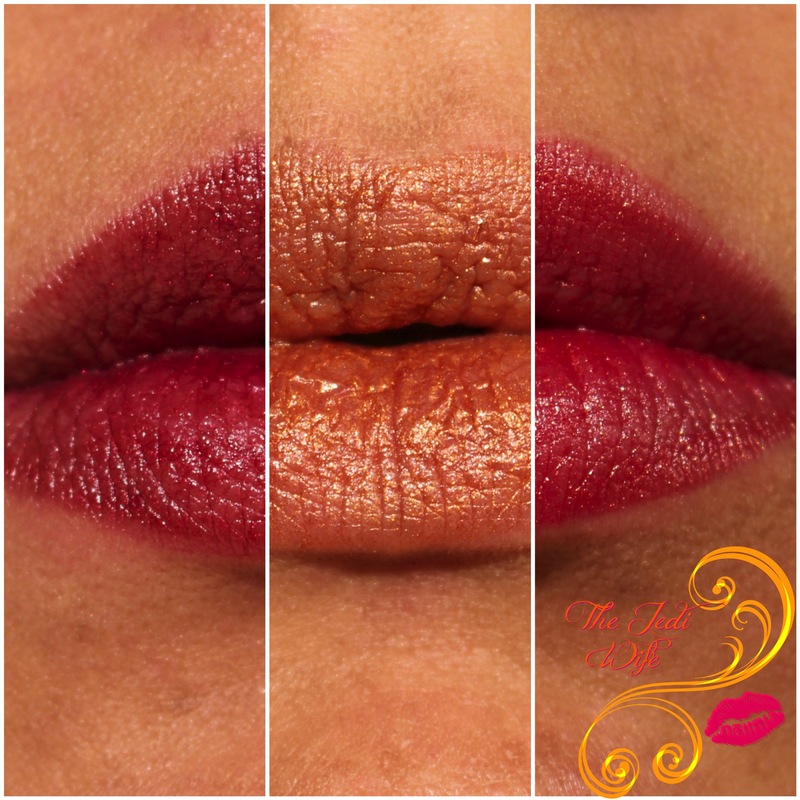 The lipstick texture is perfectly smooth and applies beautifully to the lips. Goddess is a caramel gold shimmer and flavored with blackberry bordeaux. I've really been feeling these types of colours for lipsticks recently, and I am thrilled to see it as one of the introductory shades to the Ever After lipstick lineup! It glides on easily, imparting a golden sheen on your lips that can be built up with subsequent coats for a more intense look. First Kiss a cherry red lightly pigmented semi sheer lipstick that is flavored with blackberry bordeaux. 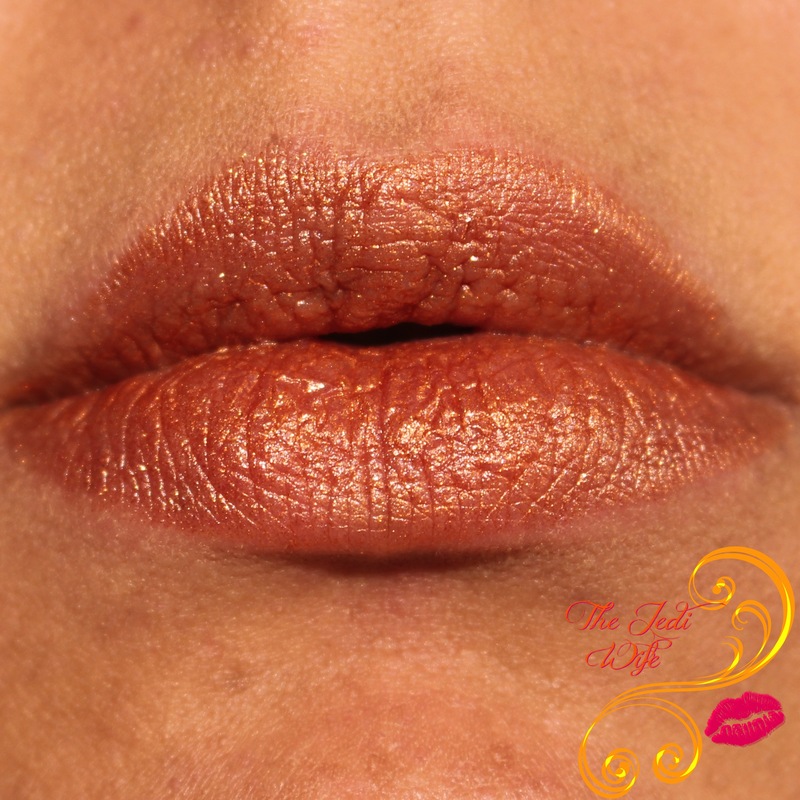 Even though it is described as a semi sheer, and it certainly does start out that way, I was impressed with how much it built up with two or three quick swipes over my lips. I really enjoyed these lipsticks! The application on all three shades was smooth and not the least bit drying to the lips, and they had quite good staying power with touchups needed periodically after eating, drinking, and stealing toddler kisses. If you follow me on Instagram, you might have already seen the sneak peak photo I shared of these at Polish Con in the slim black tubes. While these are the tubes I picked up at the event, the lipsticks are going to be officially released in November in a traditional lipstick tube. On to some eye shadows! Colors Of The Wind is a brown with bronze copper and gold sparkle. Whole New World is a frosty green with silver shimmer. There are more than two eyeshadow colours in the Ever After line-up, but my budget didn't permit me to pick up all the shades I wanted. 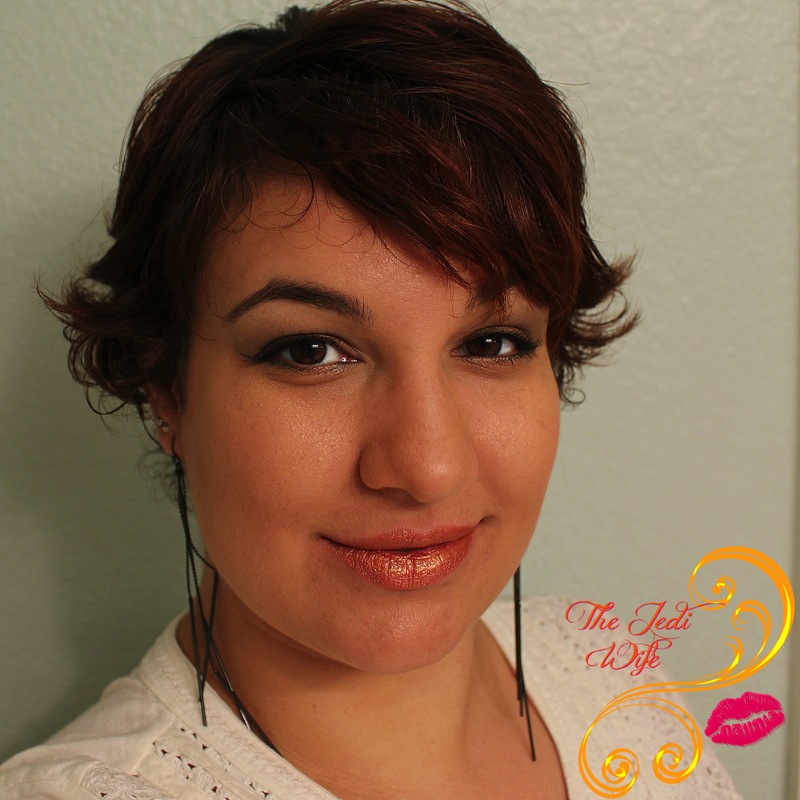 I chose Colors Of The Wind because it is a gorgeous brown shade that I can wear any day or night, and let me tell you, I have been wearing it a lot since picking it up! It is also a shade that would pair perfectly with just about any colour of your choosing, certainly all the shades offered by Ever After! My other choice was Whole New World because I loved the colour and have been adding greens in particular to my eye makeup routine recently. I am in love with this particular combination, both when applied softly for a touch of colour and layered for a more intense look! And because I'm trying to remember to take more selfies when I wear my makeup, here is the final look I created one day last week. I kept the application pretty light on my eyes and incorporated some matte shades from my NYX Adorable palette so it wasn't too sparkled. I am also wearing Ever After lipstick in Goddess here. I am really excited to see cosmetics added to the Ever After lineup although my bank account is already hating me for it. 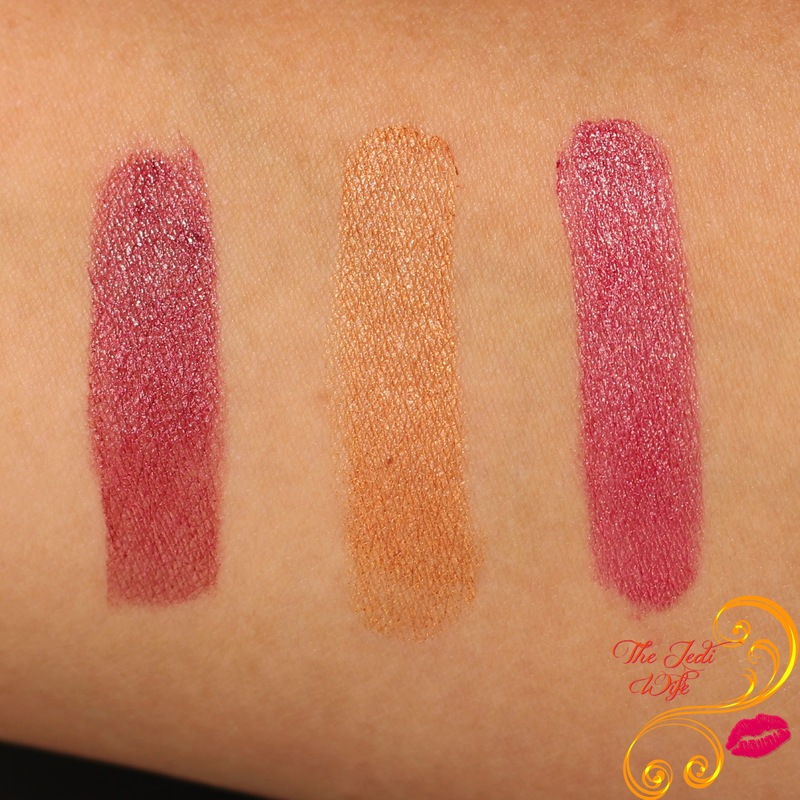 While there are three lip glosses shown here, a little birdie has informed me that Ever After will be introducing two more to their line-up later this month! I haven't even seen them yet, but I suspect they'll be going on my Christmas wishlist with the remaining Ever After eyeshadows I need! And now this is when you call me a tease because these are temporarily off the Ever After website while Miranda is out of town. If you happen to be in the Los Angeles area next Saturday, you'll be able to meet up with Miranda at the Ever After booth at The Indie Shop event to pick up some of these beauties in person! If you cannot make it to Torrance, rest assured, the lip glosses and eyeshadows will be returning to the website upon Miranda's return, and the lipsticks should be making their debut on the site Black Friday. Have you tried any of the cosmetics from Ever After? If so, what are your favorites? Is there anything you want to try? I'd love to hear from you! Until next time, dear readers, have a wonderful day and enjoy the rest of the weekend! I'm really loving the eyeshadows! I am dying to try their eyeshadows and lipsticks. It's nice to hear that they worked well for you. The lipsticks are pretty. I'd love Goddess, and it looks great on you! I LOVE those lippie colors on you! Not a fan of the glosses but the lipsticks look amazing! Love the tone of the shades. Those shadows!! I'm definitely going to have to try some soon. 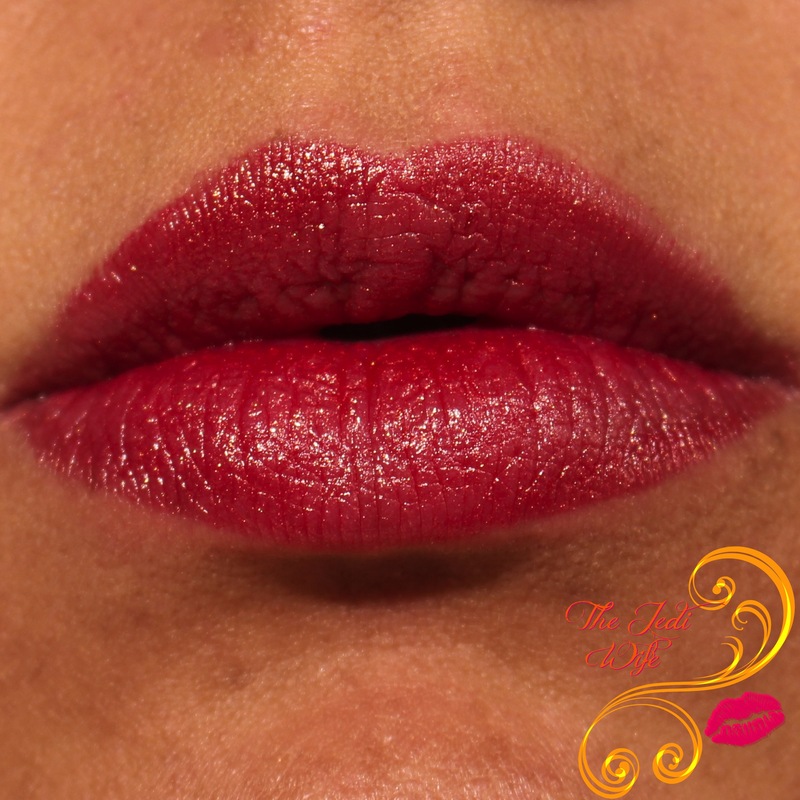 The Cherry Kiss lipgloss looks great and the lipstick that you are wearing are looking fab on you.